Getting an air conditioner whether ducted or split in your residence is no longer a luxury but a necessity in today’s time. It is almost impossible to imagine a typical summer day without an air conditioner. This is obvious that we are not able to perform our daily tasks optimally unless we are comfortable. Having an air-conditioning environment is very necessary for optimal comfort. Just getting the air conditioners installed is not enough, and you need to consider the maintenance of the air conditioners. A major part of the maintenance can possibly be done by yourself, for example, you can clean the ducts of the air conditioners, change the filters and clean the outdoor units with your DIY tools. But if you find any serious issue in your air conditioners then you need to call an expert because they can identify the problems of the cooling machines and repair the same within few minutes. How Would You Maintain Your Air Conditioners? Cleaning Your Air Conditioner– You need to clean the vents, coils & filters of the air conditioners on regular intervals to maintain their optimal working condition. In case you have a split system, then you are required to remove that protective lid and then detach the filters from the indoor unit. Then these filters are to be cleaned with warm water. Dirty filters would prevent the air conditioner to work optimally. Also, the accumulated pollutants have the full potential of causing allergy and asthma attacks or respiratory infections. Even you can change the filters with new one and you can contact the trained professionals in this regard. 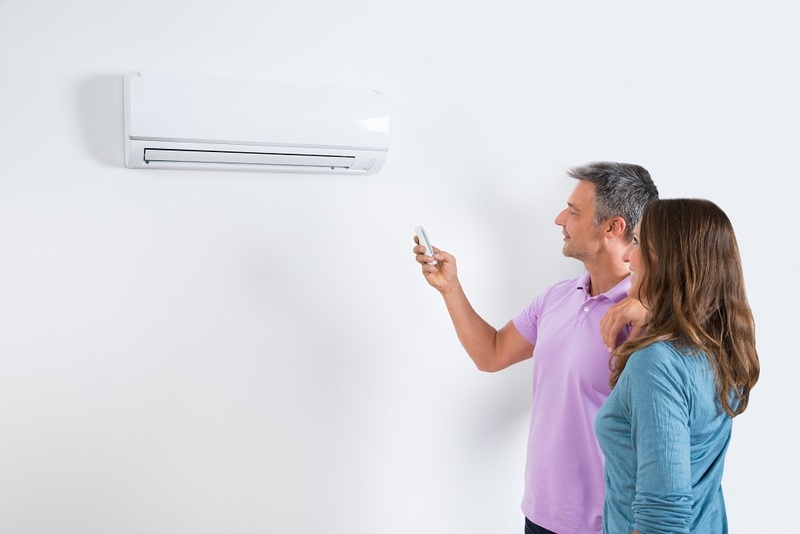 Choosing The Right Location – You air conditioner necessarily needs to be placed in the best location in order to ensure that it cools your house quickly and effectively. In case your air conditioners are placed in the window, then you need to ensure that the drapes do not block it under any circumstances or else there can be ice formation. In case of ice forms even after improving the airflow, then that can be the case of refrigerant leakage and you should call a professional to fix the same. This is also to be kept in mind that if you really want to save energy, then you should ensure that the window AC is not located anywhere near the AC exhaust. Closing All Doors And Windows While Using The Air Conditioner– You need to ensure that all the windows and doors are closed, and the house is well insulated so that no energy is being wasted. Practicing this will certainly maximize the overall efficiency of the air conditioner. The air conditioner will not optimally work if the hot air from outside is continuously entering your room. Also, you can turn off the bathroom and kitchen vents for the same reason, and you can install some window blinds or window shutters to make your rooms comfortable. Installing A Smart Thermostat– Installing of a thermostat would help in regulating the temperature during the day & also in the night. This plays an instrumental role in drastically lowering the energy bill. You should ideally choose a smart thermostat which allows you in setting the temperature. With the help of a smart thermostat, you would also be able to schedule the operating hours. Even you can also change the modes of the air conditioners according to your preferences and you can save your power consumption bill by regulating the temperature of different rooms. In order to enable your air conditioner to work optimally, you need to seek at least one professional servicing session in a year and you should clean the filters at least once especially if you have pets. So now you can search some air conditioners servicing center online and choose the best.